If you own a tone of tights like me, you’re likely to end up with a drawer full of tangled tights, and that’s a big problem. Not only do you want your tights to easily be in reach when you’re in a hurry, if you don’t store tights properly, you’re also exposing them to rips, runs and snags. To make sure your tights last as long as possible, you must store tights in an organized fashion. This may require some discipline, but it’s totally worth it to keep your tights safe and to extend their life cycle. 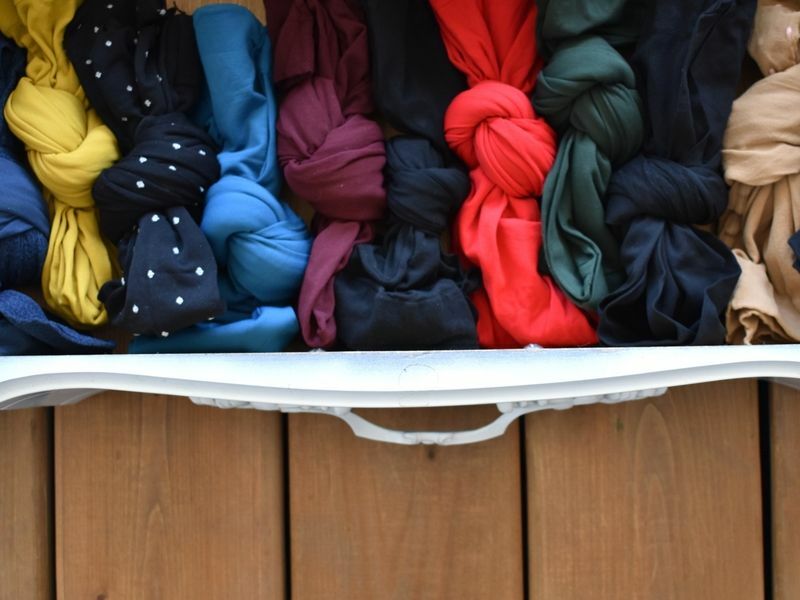 So, how do you store tights to keep them safe, organized, and accessible? 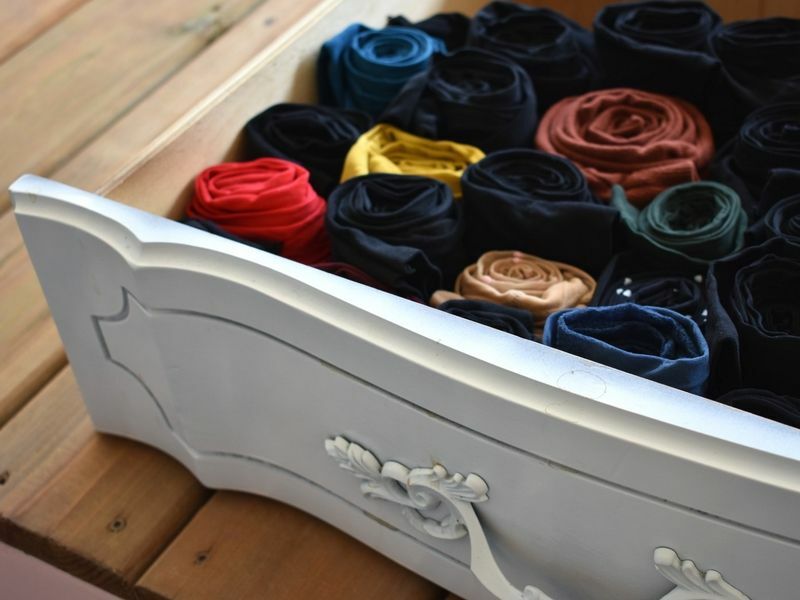 Keep your tights neatly organized in your drawer by gently rolling them. First, fold your tights in half lengthways. Then, starting from the toe towards the waistband, roll them up until there’s nothing left to roll. If you like, you can turn the waistband over on itself so that it stays together like a pair of socks. I prefer however, to place them in a drawer organizer, or you can simply line them up in your drawer. Keep them far away from harsh materials such as lace underwear or even worse, your bras. In your drawer, you can easily line up your tights next to each other by tying them in a knot. Fold your tights in two and then gently tie them in a loose knot. This storage method will keep your tights together, so you don’t pull on them when you take them out of your drawer. You can line them up next to each other in your drawer or stack them if you don’t have enough space. Again, keep them away from your bras and other rough fabrics. 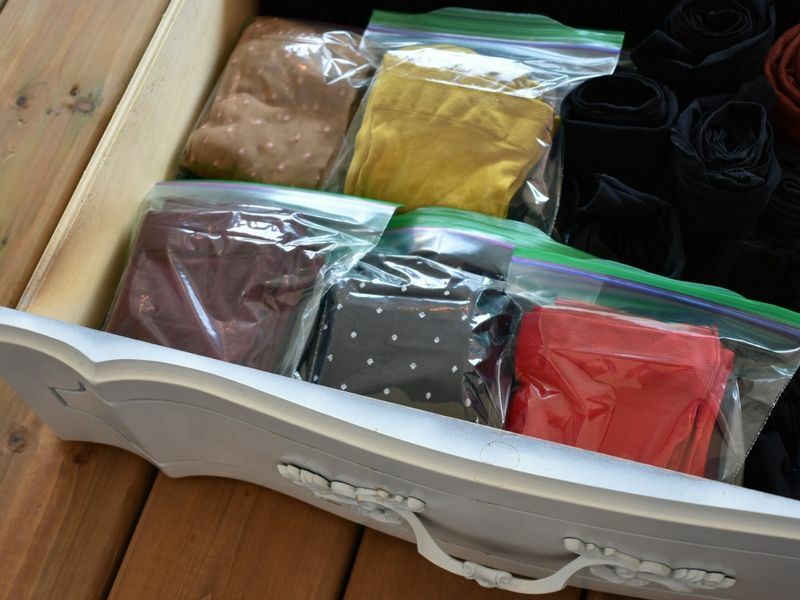 The safest and tidiest way to store tights is to individually place them in sandwich bags. Fold them in half lengthways and then in thirds, and gently slide them into a plastic sandwich bag. This method will again allow you to easily see the different styles you own and is a surefire way to keep your tights safe from snags and rips. Have some fun and label the sandwich bags, so you know exactly where to find your favourite pair! If you’re short on space, hanging your tights is the perfect option to keep them in sight. 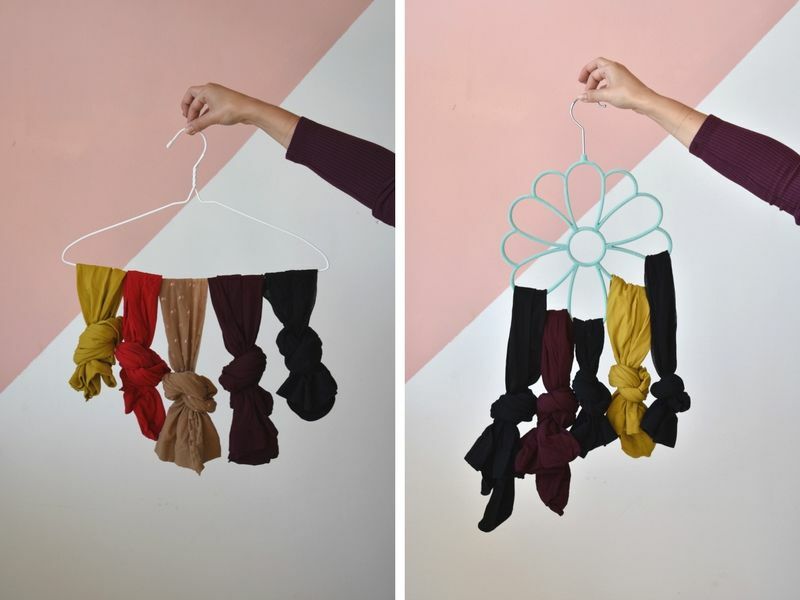 You can use a hanging organizer or just a simple hanger. Gently knot them to allow them to stay on the hanger. *When storing your tights you need to always be gentle and careful. Just like when you put tights on and take them off, remove any jewelry before storing your tights and even consider moisturizing your hands. I have more tips and tricks for you to help save your tights from rips, runs and snags! Click HERE to receive our Tights Handbook, which includes everything you need to know to care for your tights.